Meningitis outbreak: Gov. Yari should blame APC, not God – Makarfi – Royal Times of Nigeria. 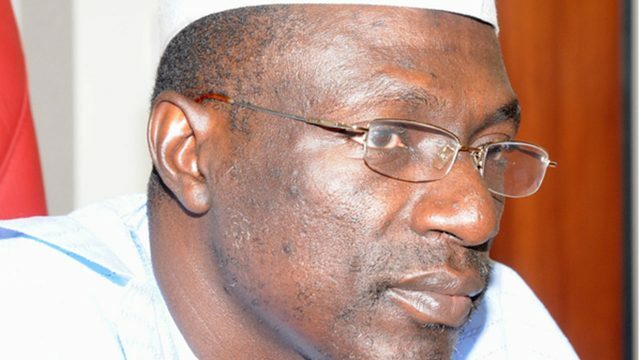 The Senator Ahmed Makarfi caretaker committee faction of the Peoples Democratic Party (PDP) has accused the ruling All Progressives Congress (APC) of playing politics with the lives of Nigerians. The faction in a statement by it’s spokesperson Prince Dayo Adeyeye on Wednesday said it was shameful for Zamfara governor, Abdulaziz Yari to blame God for its failure to protect Nigerians. The statement reads; “The news of the outbreak of Cerebrospinal Meningitis in the country and the apathetic attitude of both the Zamfara State and Federal Government to curtail the scourge is disheartening and preposterous,” . “This Government wasted so much funds on the State House Clinic with no tangible result but neglected other health centers and clinics across the country that have capacities to manage the health challenges of other Nigerians. ”For the record, the primary responsibility of any government is to protect the lives and property of its citizens and the APC-led Government has remained insensitive, careless and adamant to the plight of Nigerians in all ramifications. “As of Tuesday, April 4, 2017, about 336 Nigerians have lost their lives due to the outbreak of type C Cerebrospinal Meningitis and the Federal Ministry of Health has not taken any concrete step to contend with the spread. It is on record that the PDP Government in sixteen years did not allow such mindless display of insensitivity as seen by this APC administration. “More worrisome is the statement credited to the Governor of Zamfara State, Alh. Abdulaziz Yari in which he attributed the outbreak of Meningitis to God’s making. This is shameful and very unfortunate as the APC has run out of reasons to blame previous PDP administration but it’s now blaming God for its failures. “Governor Yari should not blame God for his failures but that of his party, the APC, to avoid incurring God’s anger on their crass ineptitude in governance. However, we wish to advise him to resign immediately for making such statement as a state Governor and the Chairman of Governors Forum who is supposed to bring hope to the people and not despair. “Finally, we call on the Federal Government of Nigeria to stop playing politics with this outbreak and do everything within its power to end the menace. As a party, our heart goes to the families of all those that lost their lives to the scourge within this period. We urge all Nigerians to drink more water, sleep in a ventilated environment and report symptoms to the nearest health center within their areas for quick medical attention.